A modern, yet traditional, style, this modest wedding dress with sleeves is sheer romance. 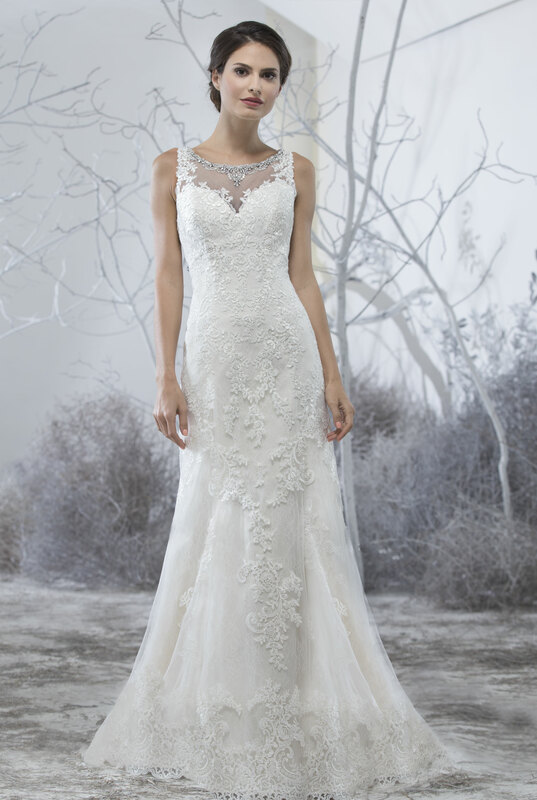 Bold lace is placed on the sweetheart neckline and extends down the length of the arms, creating a breathtaking illusion-tulle design. Stunning lace in large patterns is placed throughout the bodice of this gown, extending down through the tulle, A-line skirt beautifully. Lace continues through the back of the bodice and down through the frothy skirt and train. The back of this modest wedding dress is finished with fabric-covered buttons.